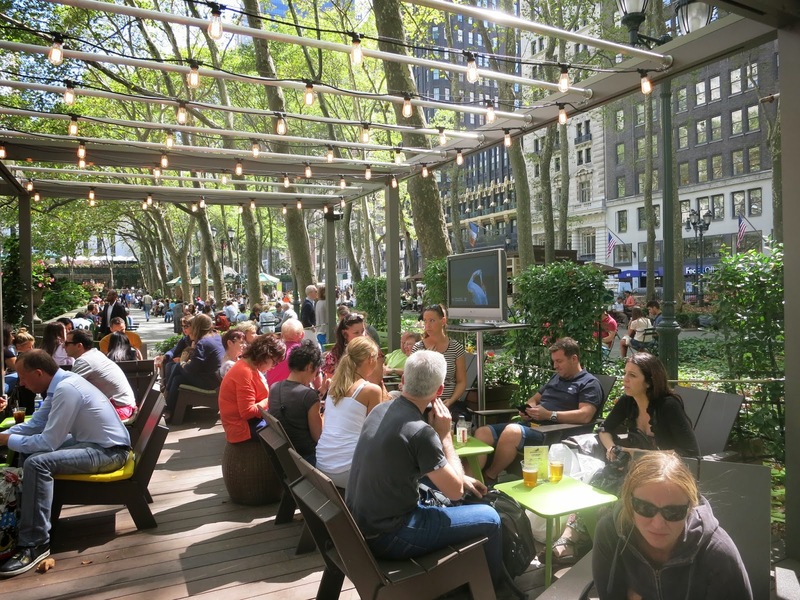 The US Open returns to Flushing, New York on August 25, which means that viewing parties are returning to the Southwest Porch. Join us from August 25 through September 8, when the Porch wheels out its trusty 55 inch television to show the matches. Don't miss a single serve or point from Serena, Djokovic, or Federer. The games will be shown weather permitting, and with he games will be shown with sound depending on other park events scheduled for that day. During the viewings, 'wichcraft offers a food and drink special. Purchase any entree with a beer or wine for $17. Enjoy gorgeous weather and excellent tennis playing. 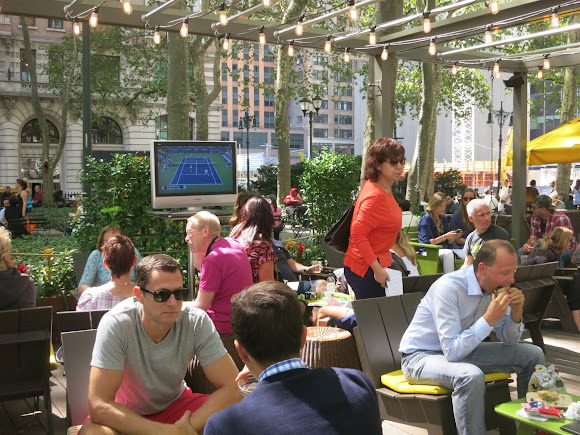 The US Open Viewing Parties are a fantastic way to spend a lunch break!